Australopethicus africanus STS 5. First thought to be a female adult version of the Taung Child. Sterkfontein, Transvaal. 1947. The catalog number for Mrs. Ples is STS 5. Mrs. Ples (considered to be 2.15 million years old) is the popular nickname for the most complete skull of an Australopithecus africanus ever found in South Africa. 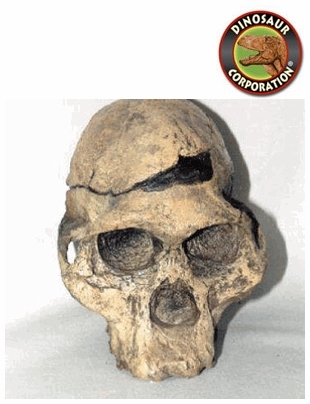 Many fossils of this species, which are considered to be the distant relatives of all humankind, have been found in the Sterkfontein area, in what has been designated the Cradle of Humankind World Heritage Site, which is situated approximately 70 kilometres southwest of Pretoria.